These tips for beautiful healthy smiles will help you make a great first impression. This is a sponsored conversation written by me on behalf of Oral-B and Crest at Sam’s Club. The opinions and text are all my own. Did you know that research has shown that more than 80% of adults say the first thing they notice about someone is their smile? Beautiful healthy smiles definitely help make a good first impression! Here are some easy to implement tips and habits to keep your smile looking healthy and beautiful. 1. Replace your toothbrush. Did you know that you should replace your toothbrush every 3 months? I’ve known this for a while but it’s often hard to remember what I had for breakfast yesterday, nevertheless when I last changed my toothbrush. So, every time a new season starts I make it a habit to replace my toothbrush. I also like to brush my teeth after each meal. After all, having spinach stuck in your teeth doesn’t make for a very attractive smile. You may also want to change the type of toothbrush you use. 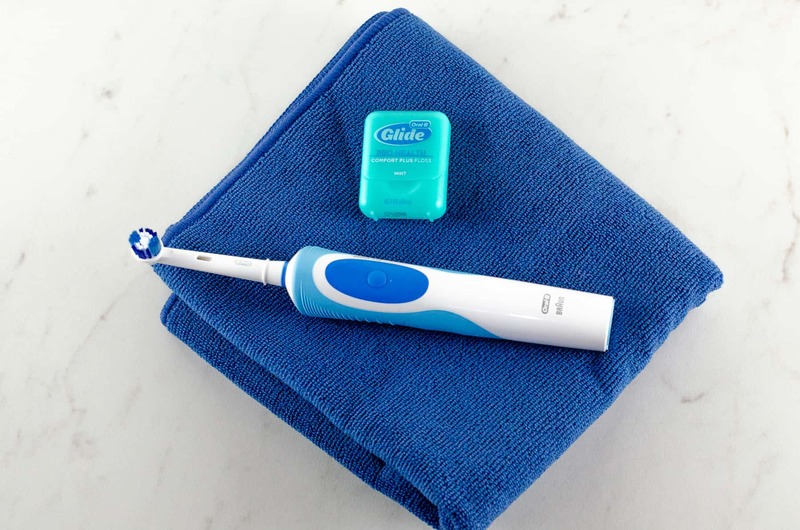 I keep a covered manual toothbrush (you can save $2 on an 8 count pack of Oral-B ProAdvantage CrissCross Toothbrushes at Sam’s Club through 6/3/18) in my purse for when I need to quickly brush my teeth when I’m not at home. However, when I’m at home I definitely prefer using an electric toothbrush. They just brush better than I could with a manual toothbrush and my teeth feel so much cleaner. 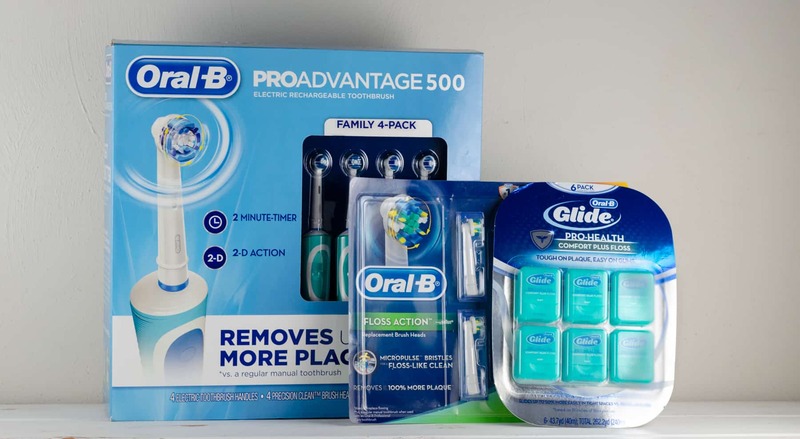 If you haven’t made the switch to an electric toothbrush or just need something new you can get a 4-pack of Oral-B PROAdvantage 500 Rechargeable Toothbrushes for just $74.98 at Sam’s Club through 6/3/18. That’s $25 off the usual price! You’ll also want to grab the Oral-B Replacement Brush Heads for $8 off so you’re prepared to change them out in 3 months. 2. Use a good toothpaste. I’m not the only one that’s brushed my teeth in the car really quick without toothpaste, right? Toothpaste really makes all the difference, though. A good toothpaste does so much more than help clean your teeth better and leave you with a minty fresh feeling. For example, Crest 3D White Toothpaste also whitens teeth by removing up to 80% of surface stains while helping to protect teeth against future stains. It also strengthens teeth and is safe on tooth enamel. Plus, you can currently get a pack of 5 for just $11.98 at Sam’s Club. 3. Don’t forget to floss. Flossing can be hard to remember to do and is a bit of a pain. However, it’s so important to make a habit. You definitely don’t want all the food debris you remove by flossing stuck between your gums and teeth. I always leave the floss and my toothbrush on a clean towel every night to be ready to use after breakfast the next day. A 6-pack of Oral-B Glide Pro-Health Comfort Plus Floss is currently $2 off at Sam’s Club so you can keep some in your bathroom, purse, and even your desk drawer. 4. Consider the added benefits of a mouthwash. A mouthwash can help freshen your breath and even help whiten your teeth. Crest 3D White Brilliance Whitening Mouthwash is currently $2 off at Sam’s Club and helps remove surface stains for a whiter smile in 7 days without using peroxide or alcohol. As I’ve mentioned all throughout this post, you can save big on refreshing your dental health routine now through June 3rd, 2018. My favorite thing about Sam’s, other than saving money, is that you can browse in store or order online and get things shipped to you or pick up in-store for free. Here are some of the $40+ in savings you can find. These would be great to turn into a gift basket for a recent graduate going off on their own to remind them to take good care of themselves! 5. Be careful with what you expose your teeth to. Did you know that some foods can break down tooth enamel, the stuff that naturally helps protect your teeth? Highly acidic foods like citrus and pickles will erode tooth enamel over time. Things like coffee and wine can also stain teeth. Be mindful of your exposure to such foods and drinks by using straws when you can or doing a simple rinse with water or by chewing gum when you can’t brush. 6. Regularly visit your dentist. 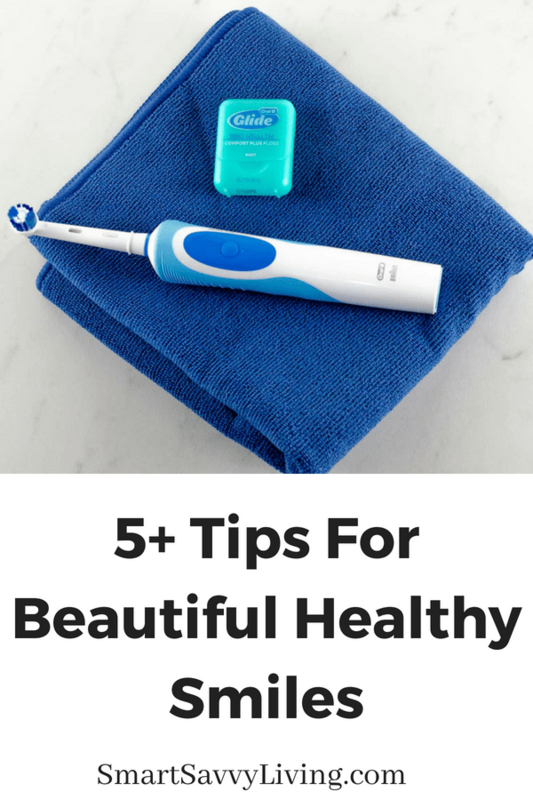 While all of these tips will definitely help you keep a beautiful healthy smile, it’s very important to have a checkup with your dentist regularly. It’s something most of us dread, but regular cleanings help keep our smiles looking great and also help to find potential issues before they get painful and super expensive.